The life of the painter Paul Cézanne, who Picasso called «the father of us all», was filled with difficulties. Maybe that is why his personal life now makes for such an exciting story. Cézanne is the epitome of the figure of the misunderstood artist rebelling against society. Estranged from his father banker, his lover a poor model, isolated from the world and with a secret child, Cézanne’s only friend was the painter Camille Pissarro, with whom he shared similar economic difficulties and worldview. His trips to the countryside of Britanny, his arguments with other Impressionists, the vibrant gatherings in the cafés of Paris... all this comes together in a kaleidoscopic novel, of biographical inspiration, on the loneliness of the innovative artist who stubbornly forges his own path. 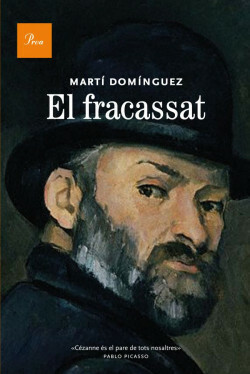 A biographical novel inspired by the life of the great artist Paul Cézanne. The painter Paul Cézanne’s rebellion against the society of his time.